You set the questions you want to be asked. 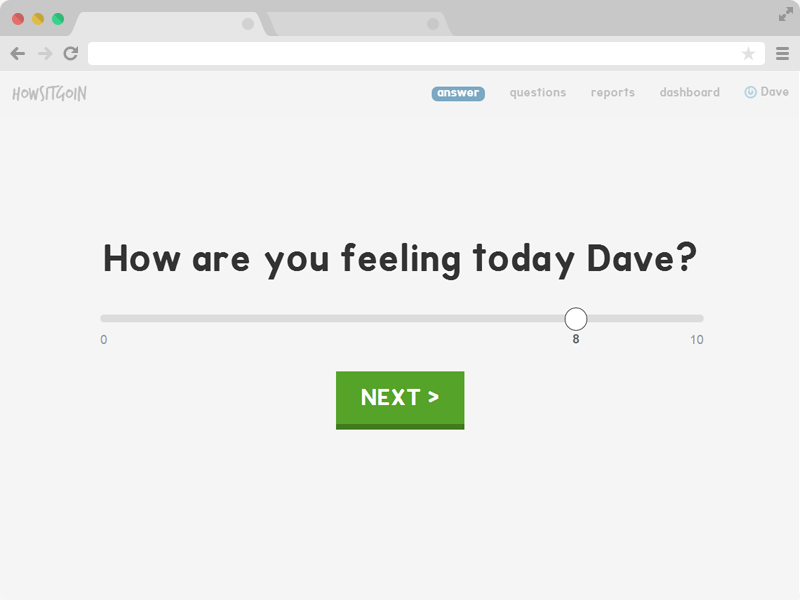 Each day you're able to login & answer your questions, one by one. Look back over past answers and see your patterns. 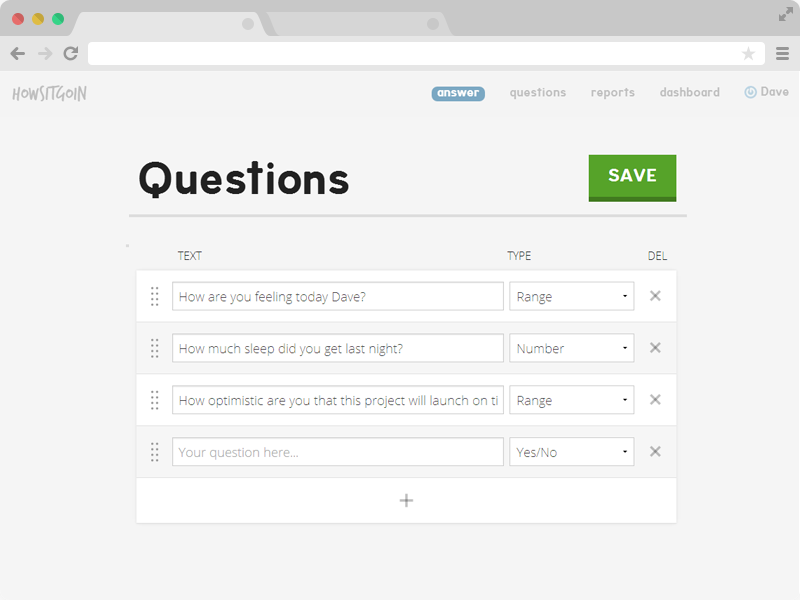 Create a list of questions you want to be asked. This could be anything from 'did you go for a run today?' to 'how optimistic are you that this project will launch on time?'. Question type's include text, range, number & yes/no. 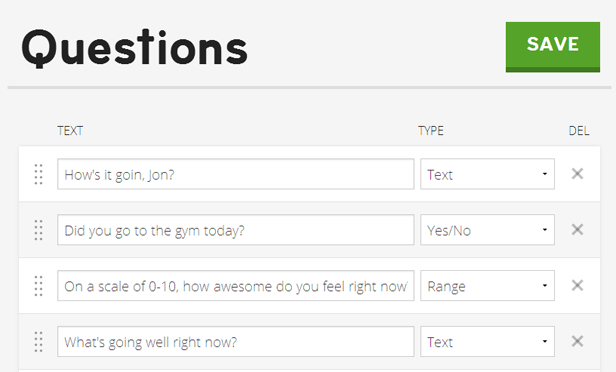 Every day you can login and answer your questions, one by one. 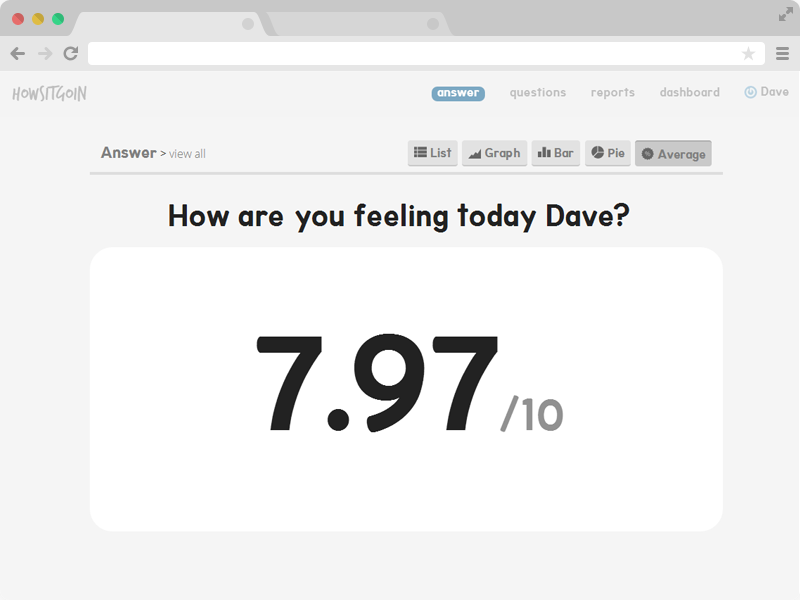 Look back over your past answers and view stats. Notice trends to see what's going well and what needs changing. 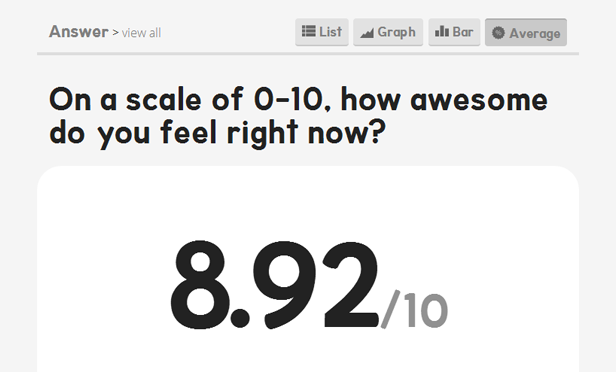 Reports include List, Graph, Bar & Average (depending on answer type).